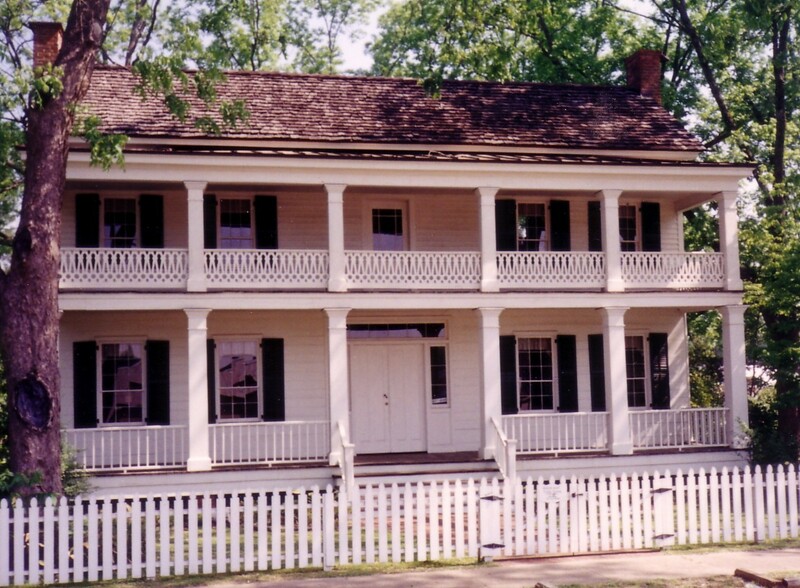 The Clarke County Historical Museum opened in 1986 as a project of the Clarke County Historical Society. The Museum building itself was built in 1854 by Lemuel Alston, and it later passed through numerous other families before it was purchased by the Historical Society in 1980. Today, it is known as the Alston-Cobb home and it houses artifacts telling the rich and unique history of this early Alabama county and its people. The Alston-Cobb house was built for Dr. Lemuel Lovett Alston who moved to Grove Hill and began the practice of medicine about 1852. Lemuel Alston and Sarah French Jackson were married in Clarke County on November 1, 1854. It is believed that the house was completed and occupied by Dr. Alston and his young bride shortly after their marriage. Subsequent owners of the house were the families of Bettis, Cobb, Bumpers, and Postma. The original house was comprised of four rooms downstairs and two upstairs, with a large center hall on each floor, and a wide porch extending across the entire front of the house both downstairs and upstairs. The house was heated with two enormous brick chimneys at each gable end with fireplaces both upstairs and down. The decorative banister around the upstairs porch is made of heart cypress and is original, but the original double front door has been replaced by a single door and the front windows have been replaced and modernized over the years. The mantels and stairway are of pine and simple in style as is all of the interior woodwork. Many alterations have occurred over the years, but it still retains its simple beauty and dignity.